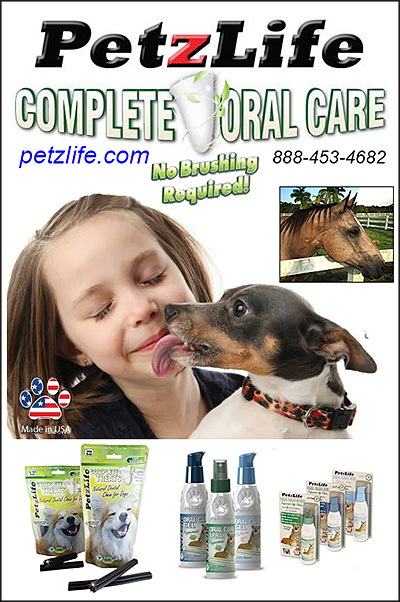 Leba III keeps your dogs mouth healthy! Dental Products For Dogs are often those products to help remove tarter and plaque from dog's teeth. Good Dental Care For Dogs is vital to their health and well being. Canine Teeth cleaning products or products to help a dog to maintain healthy, clean teeth will ensure that your dog can enjoy having strong teeth throughout his lifetime. Learn how to clean and maintain your dogs dental health by using products to discourage plaque and tarter buildup. Clean teeth help to encourage good breath and a longer life. Make sure you do everything you can to maintain oral health for your dog every day.